Brisbane is a great setting for a stunning wedding day. With beautiful chapels and cathedrals offering many picturesque settings. We love filming wedding videography all over the Brisbane with it’s many high quality wedding venues the choice is endless. St Stephen’s Cathedral Wedding Video This film created for Monique and Thomas was edited in our linear style. Ceremony was filmed in St Stephen’s Cathedral with the reception at Customs House Brisbane. 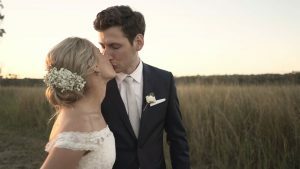 A Beautiful Wedding Filmed at St Stephen’s Cathedral.